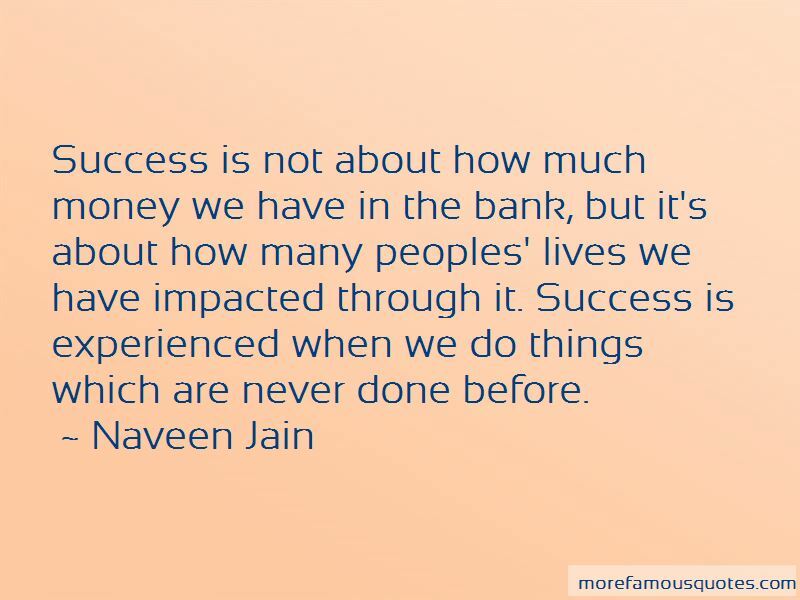 Enjoy the top 74 famous quotes, sayings and quotations by Naveen Jain. We begin to change the world when we stimulate long-term prosperity using technology. There is not a problem that's large enough that innovation and entrepreneurship can't solve. Each one of us has the power to be the change we want to see in the world, making the world a better place. There are as many ways to help another human being as there are people in need of help. For some, the urgent need is as basic as food and water. For others, it is an opportunity to develop a talent, realize an idea, and reach one's full potential. Growing up in India, I knew all I needed to change the world was one good opportunity, and I prepared myself for it. When that opportunity came - in the form of the chance to earn an engineering degree - I was ready. Teaching children about entrepreneurship is much like imparting any other skill or piece of knowledge. You will provide them with ways to experience how entrepreneurship works, and you guide them toward the subjects or areas they seem to show an interest in. 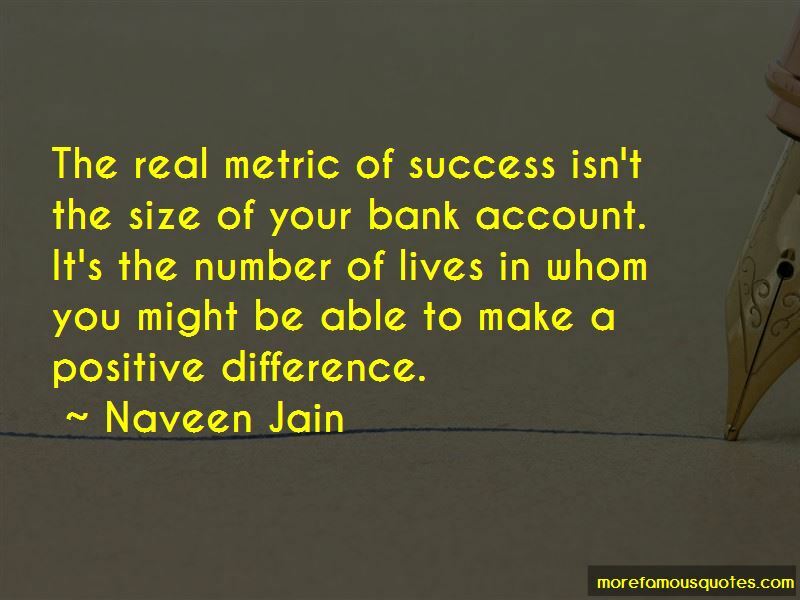 Success is not how much money you have in a bank. Success is how many lives you have touched. 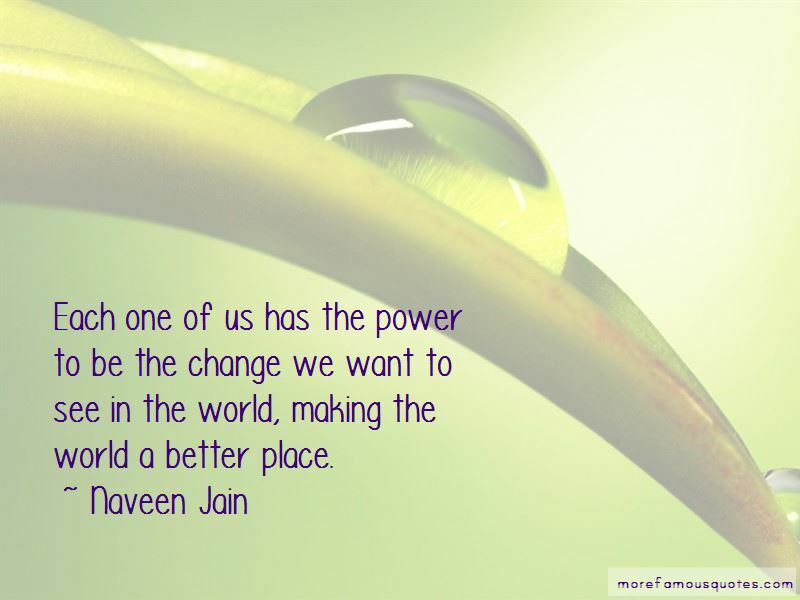 Want to see more pictures of Naveen Jain quotes? 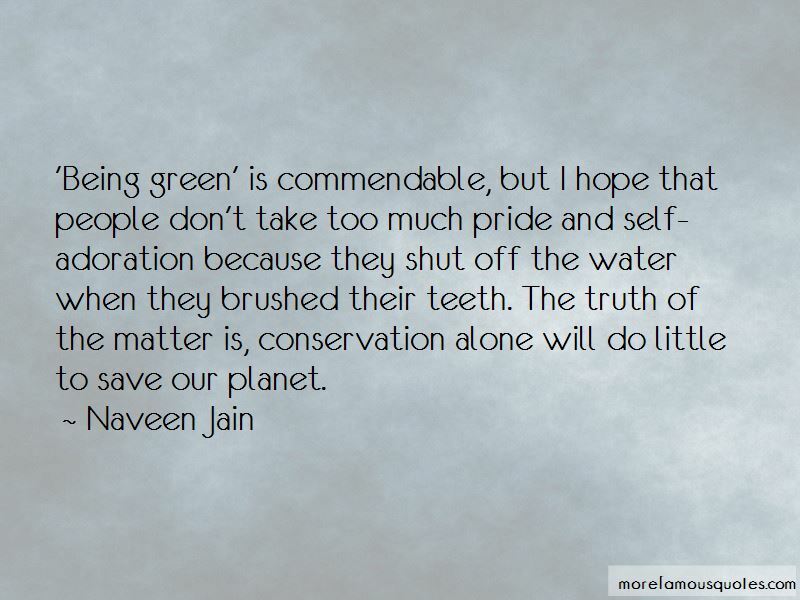 Click on image of Naveen Jain quotes to view full size.